During the Great Depression nutria, 20 pound rat like creatures (they are the size of small dogs) were imported to Louisiana from Argentina with the idea that their pelts could be used for fur clothing. That was all well and good until they broke free and took up residence in the swamps. With no natural predators they began to flourish, devouring everything in their paths putting the ecosystem in danger. 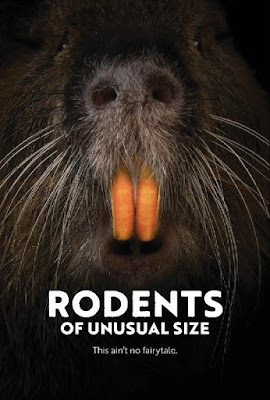 Both amusing and scary, the damage the nutria are causing is wiping out the wetlands, the film explores what can be to stop the tide of that are essentially giant rats. They had been kept in check for decades by fur trappers, however now that fur has taken on a negative connotation the population has exploded and there are now tens of millions of the beasts running about. The state of Louisiana and environmentalists are struggling to find a way to stop them so now they offer a bounty for each tail turned in. Meanwhile others are trying to find a way to use them commercially including as food (they taste like rabbit). 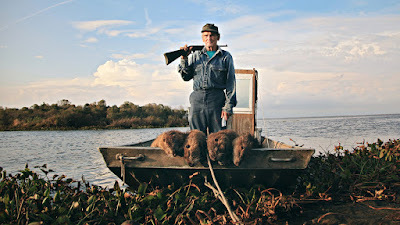 This is a real life environmental nightmare that seems like a bad science fiction film (NIGHT OF THE LEPUS? ), except that it's not. It is ultimately a dire warning of what we are doing to our planet. Directors Quinn Costello, Chris Metzler and Jeff Springer manage to walk the fine line between tragedy and humor without falling to off.with the result that I alternately laughed and cringed all through the film. They clearly see both the horror and the humor of the situation and make sure that we see it too. Beautifully made the film does everything right from the use of animation, humor and everything else. with the result that this is a film that hangs with you for days after seeing it. This is a film that manages to something almost impossible a thought provoking film about a potential environmental tragedy that is a lot of fun. Its sounds counter intuitive but the directors have pulled it off brilliantly. Trust me it works and then some. 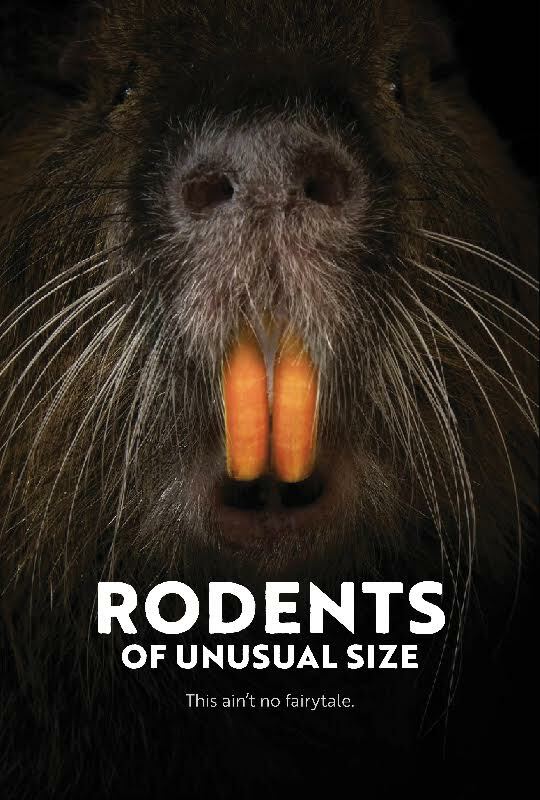 RODENTS OF UNUSUAL SIZE is recommended when it plays Wednesday at DOC NYC.